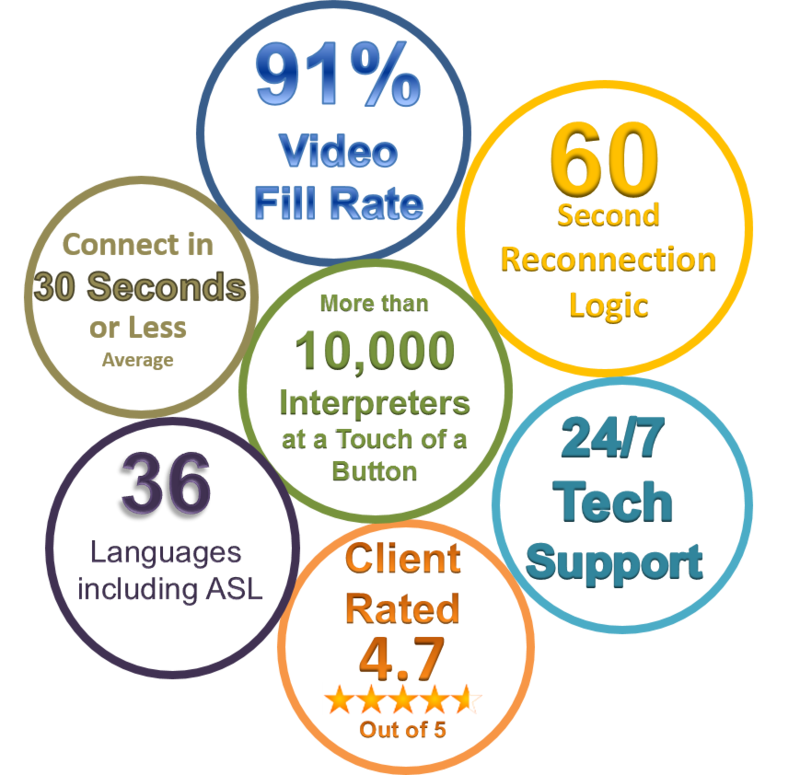 In nearly every healthcare, government, business, and professional setting, the need for quality interpreter services is growing. Many regulations already require that Limited English Proficient (LEP) and Deaf and Hard-of-Hearing communities are offered adequate language access to use necessary medical and governmental services. For other types of companies, it makes good business sense for these communities to feel welcome and understood. 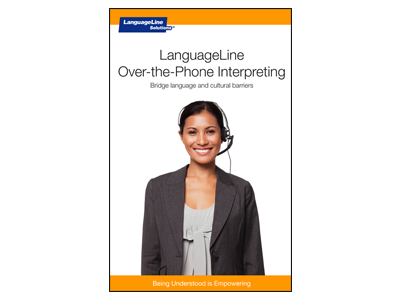 LanguageLine Solutions offers a full range of professional interpreting services connecting to more than 9,000 highly trained interpreters for organizations to clearly communicate with every individual under any circumstance. 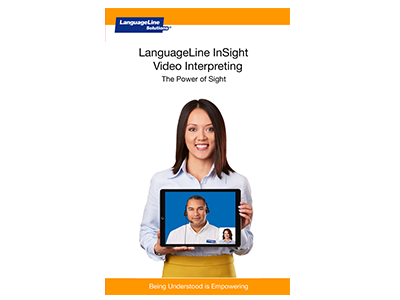 LanguageLine offers video remote at the touch of a button through our new, state-of-the-art, application LanguageLine InSight Video Interpreting®. LanguageLine® Phone℠ Interpreting connects you with a professional phone interpreter within seconds. 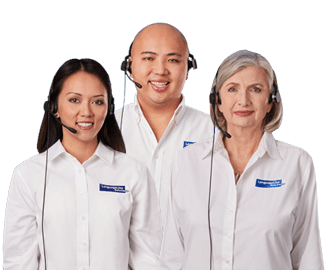 Available 24/7/365, and fluent in 240 languages, our world-class interpreters are ready to assist when needed most. 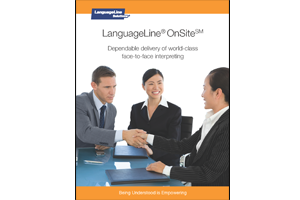 LanguageLine® OnSite℠ Interpreting is designed for those circumstances where nothing can replace the individualized, personal attention, provided by in-person interpretation. Whether it’s a critical medical discussion or a VIP meeting, a professional interpreter onsite can make all the difference. 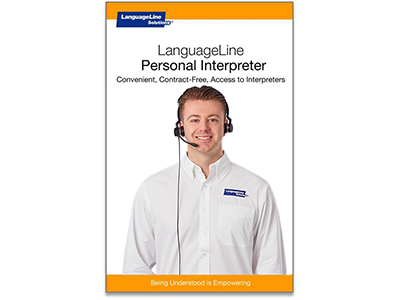 LanguageLine® Personal Interpreter℠ a no contract, no minimums, no fees, pay by the minute option. Simply call the toll-free number and pay a low by-the-minute rate, billed directly to your credit card. Talk to an interpreter instantly in any of our 240 languages. Connect with an interpreter now. Pay by the minute with Personal Interpreter.